If you have a sweet tooth and can’t resist your daily dose of chocolate, it can be hard to adjust your eating habits. While it may seem like there is not much harm in eating a treat every now and then, it can be surprising to learn about the harmful effects that sugar can have on your teeth. Having a healthy and bright smile is something that all of our patients long for and the secret isn’t as complex as people think! We’ve put together a guide on everything you need know about cavities and how you can take steps to prevent them. Many factors play a role in the creation of cavities. Though it might be frustrating to constantly hear your dentist remind you of the importance of daily brushing and flossing, it’s all for a very good reason. There are few stages of cavity formation, beginning with plaque formation. When you consume drinks and foods that contain lots of sugar, strains of bacteria thrive. If you aren’t a regular brusher or you forget to clean the sugar off your teeth, acid is produced. The combination of bacteria and acids forms plaque, which covers your teeth. After the plaque forms, acids start to wear away your enamel. Enamel is your tooth’s outer surface and without it, your teeth are unprotected. The first visible sign of cavities are tiny openings in the enamel. Having a hole in your tooth opens an entryway for more bacteria, which can later turn into a brown mush that needs to be removed by a dentist. While it may be difficult to dodge your favourite sweets, we have a few alternatives that will help keep your teeth healthy without compromising on taste. Apples: An apple day doesn’t only keep the doctor away, it also can help prevent cavities. Though fresh fruits contain a high amount of natural sugar, they can also stimulate saliva flow. The extra saliva can help lower bacteria levels. Sugar-Free Gum: “Sugar-free” may not sound inviting to your taste buds, but we recommend trying this gum. Not only does it have xylitol, which can fight cavity-building bacteria, but it also is a great substitute for sugar. Green/Black Tea: Rather than grabbing a can of coke, try to switch to tea. It can help reduce cavities by inhibiting bacteria and stopping plaque build-up. Having regular checkup appointments at your dentist is crucial when it comes to this. 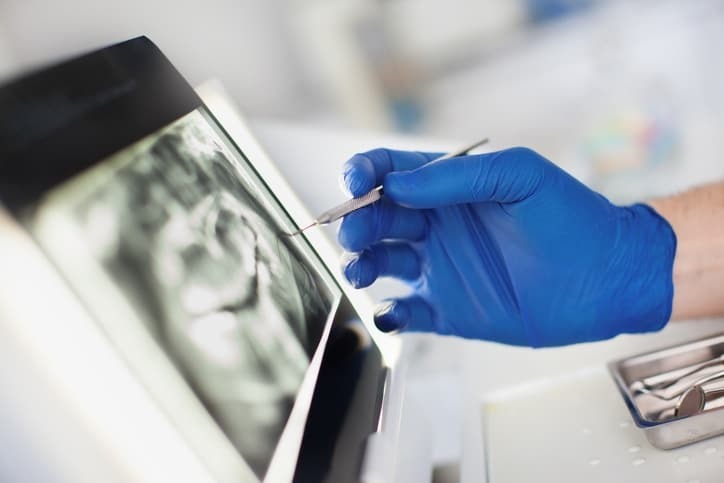 By having up to date x-rays on file, your dentist will be able to inspect your images for any cavities or infections. If you feel any pain in your teeth, it’s important to notify your dentist so that they can check to see if any old fillings have fallen out. How Can I Remove A Cavity? Unfortunately, there’s no way for you to remove a cavity all on your own. This is something you’ll want to leave to a highly trained dental team. Drilling out harmed dentin is how dentists save teeth that have cavities. 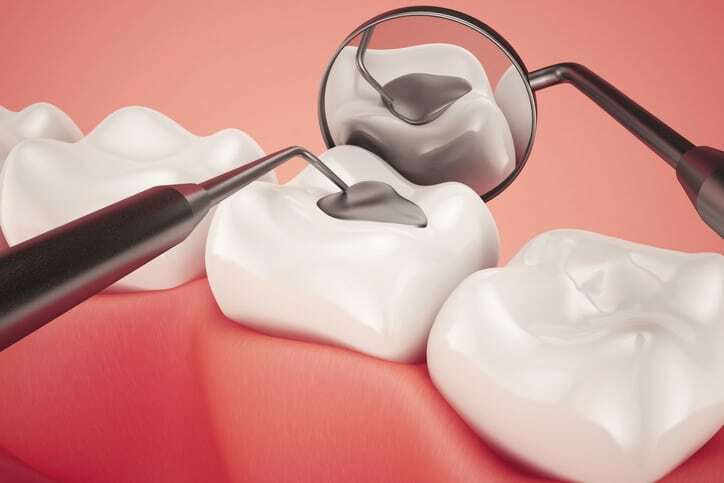 After drilling out the bacteria, they refill the centre of the tooth and seal it to prevent any further plaque from entering. The filling process may sound unpleasant, but we can assure you that it’s a simple, and painless, process. 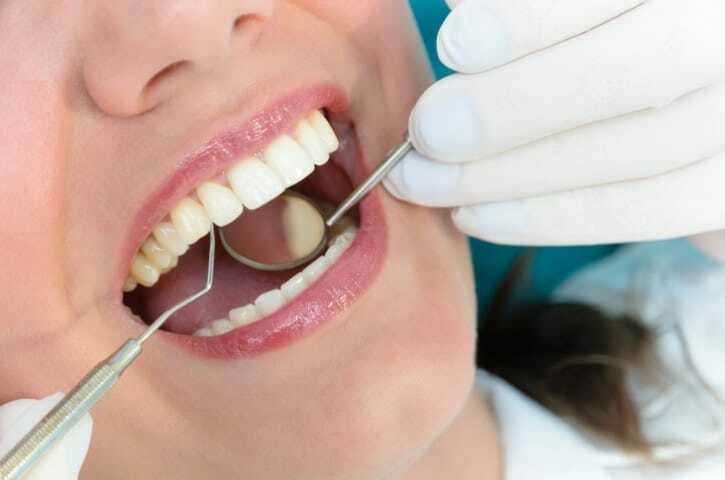 In cases where the cavity has reached very close to the gum line, our dental team may decide to numb the area of your mouth before filling the cavity to ensure you don’t feel discomfort or aching throughout the filling. Attempting to shake off a cavity won’t do the trick. Our incredible dental team is dedicated to providing our patients with cavity prevention tips and painless filling procedures. 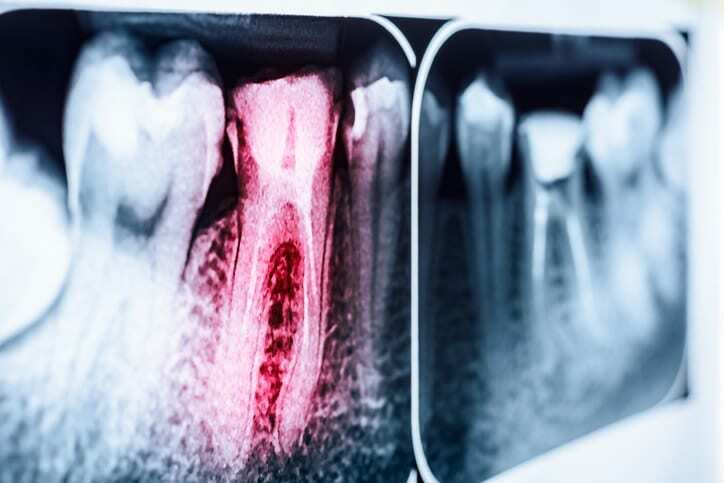 With years of experience under our belts, we are confident that we can guide you through the seamless process of inspecting for cavities and successfully filling them. Thankfully, here at Dental Implants Clinic, fillings aren’t our only specialty. We provide our patients with many other services and surgeries. We promise that you will leave our office with a noticeably brighter and healthier smile. To learn more about the rest of our dental services, our extraordinary dental service team or to book an appointment, visit our website. Let our family treat your family!